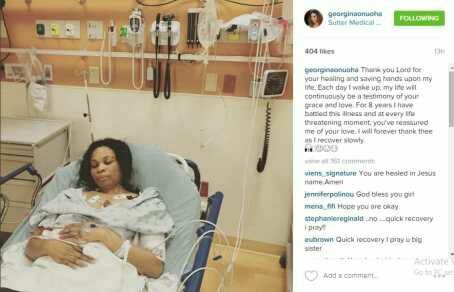 Popular Nollywood Actress Georgina Onuoha Survives 8years illness - BlogIT with OLIVIA!!! Celebrated Nollywood actress Georgina Onuoha has been basking in the success of her career over the years. Despite being divorced, Georgina has always tried her best to take good care of her lovely daughters as well as training herself to keep fit. While recuperating in the hospital, Georgina took to her Instagram account to post a picture of her in the hospital bed and shared how she has been battling with the illness for the past eight years, as she was surrounded with life support machines. 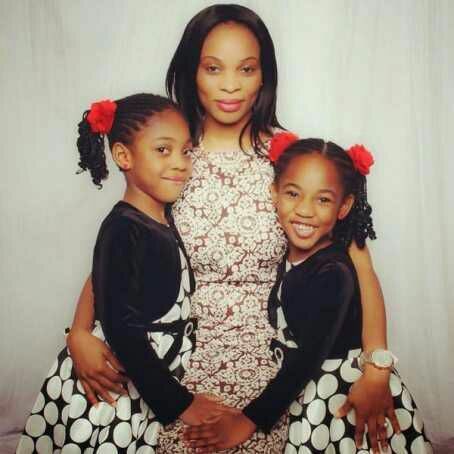 Georgina Onuoha was a prominent face in the Nigerian movie industry many years back but disappeared from our screens after got married and relocated to the US. The beautiful mother of two has returned to the set of a movie in the US 10 years after making her last movie.